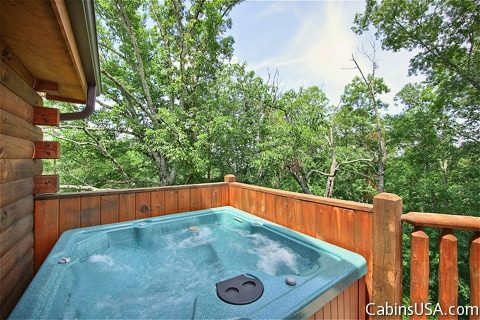 Tennessee Vacation Rental - "Hilltop Hideaway"
Your Tennessee vacation rental, "Hilltop Hideaway," offers guests a four-story, five bedroom cabin in Tennessee that rests minutes from Dollywood Theme Park and Downtown Pigeon Forge. 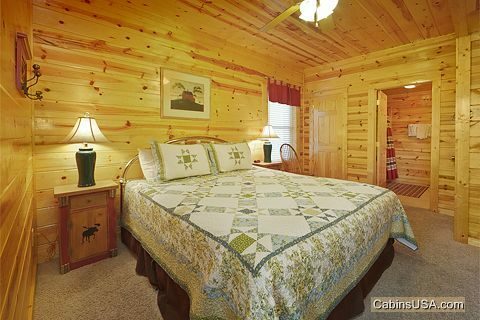 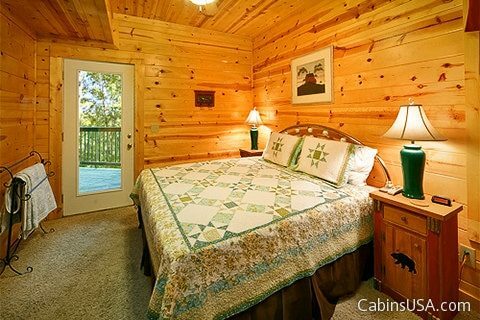 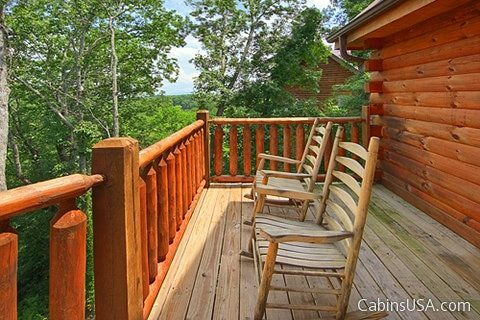 Visit the scenic Tennessee Smoky Mountains in affordable elegance at this cabin! 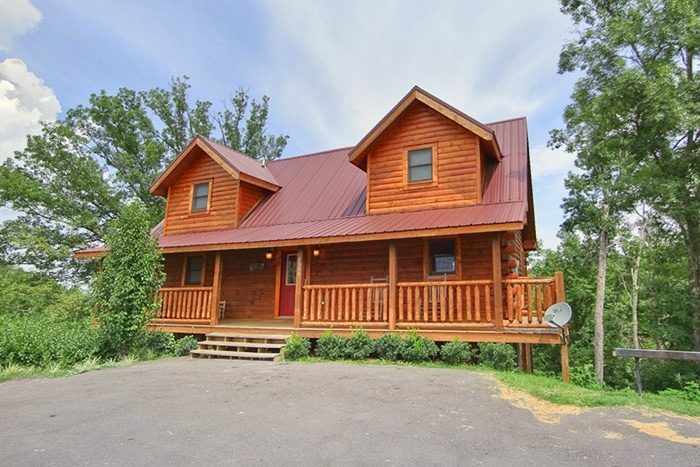 "Hilltop Hideaway" provides a luxurious Tennessee vacation rental with sleeping arrangements for up to 15 guests to stay quite comfortably. 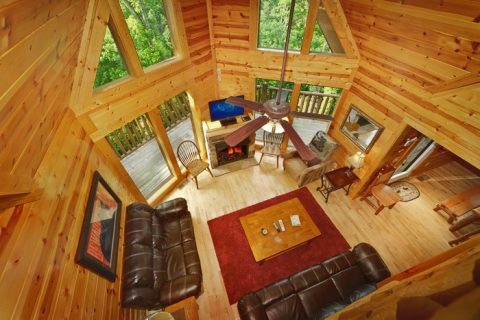 Additionally, "Hilltop Hideaway" boasts a location that allows for quick access to attractions, restaurants, and outlet shopping throughout the Tennessee Smokies. 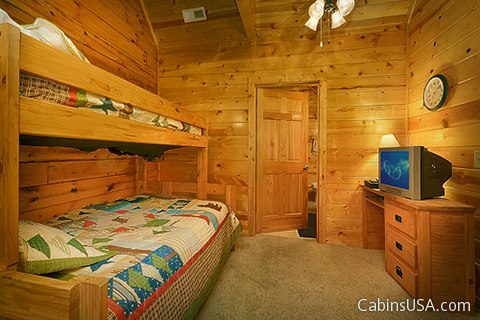 After a day playing in the Southeast's biggest playground, arrive back at your five-bedroom cabin in Tennessee to enjoy comfortable in-cabin amenities, including free wireless Internet. 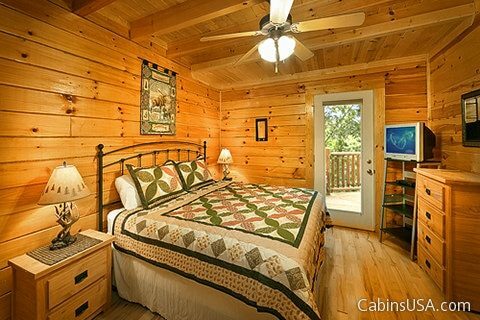 There is plenty to love about your cabin's welcoming interior. 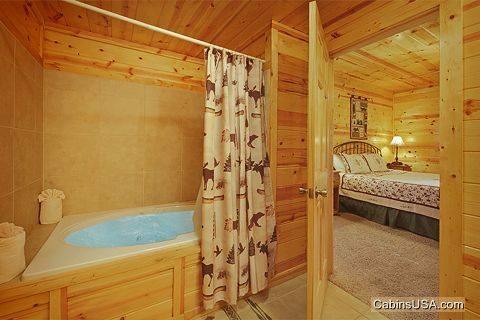 Four of the five bedrooms are king suites with jacuzzi tubs. 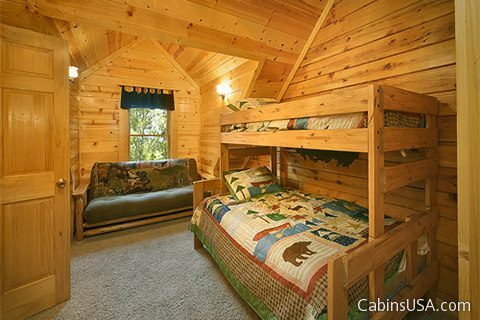 The fifth bedroom houses a bunk bed set and futon for the kids in the group. 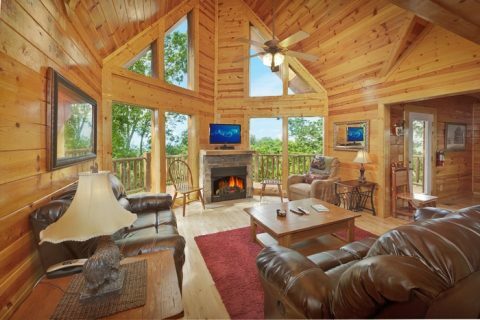 There are two lavishly furnished living rooms - each with its own wide screen television and large windows to take in those scenic views. 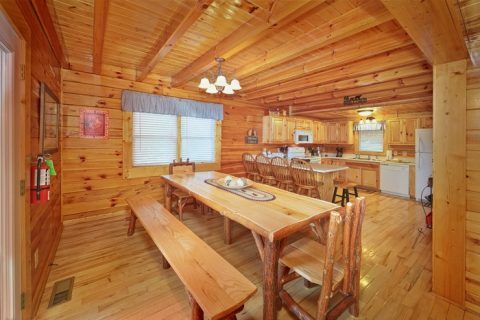 For added convenience, the spacious kitchen on the main level features plenty of counter space for meal preparation and a large dining table. 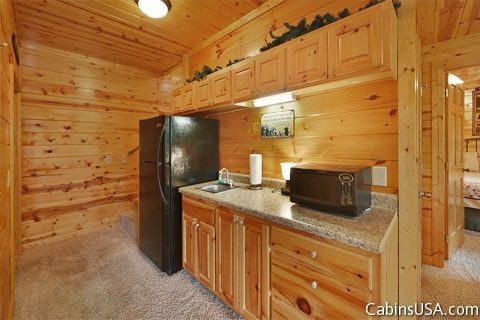 Additionally, the kitchenette with a full-size refrigerator on the lower level offers more opportunities for snacking at "Hilltop Hideaway"
You may want to relax in one of your vacation rental's two hot tubs or sit next to the warm glow of one of its two fireplaces. 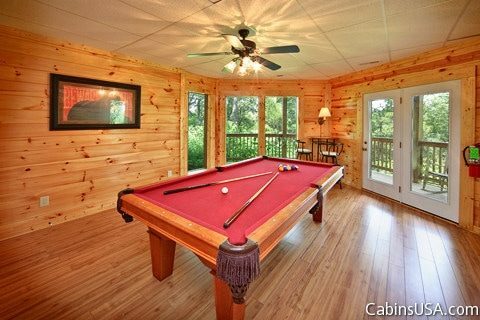 Be sure to save time for a few games of pool on the full-sized pool table located in the game room. 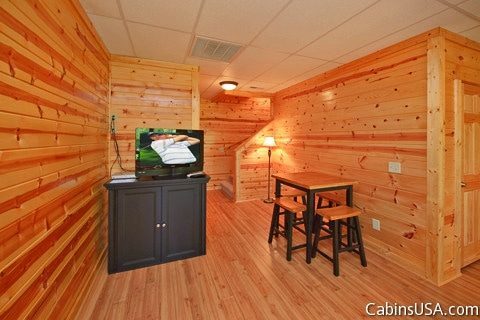 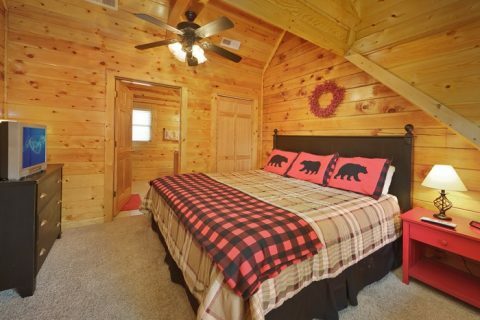 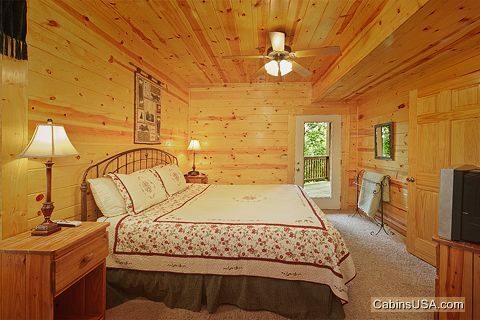 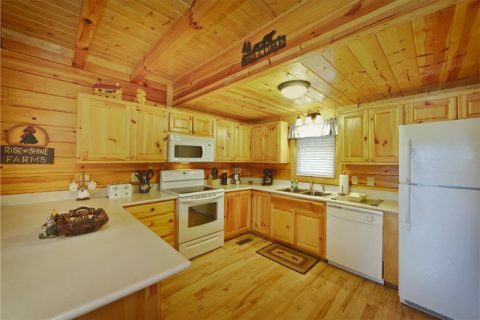 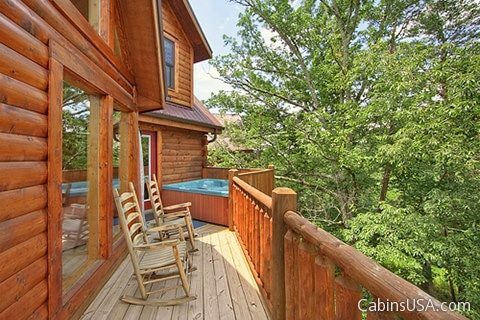 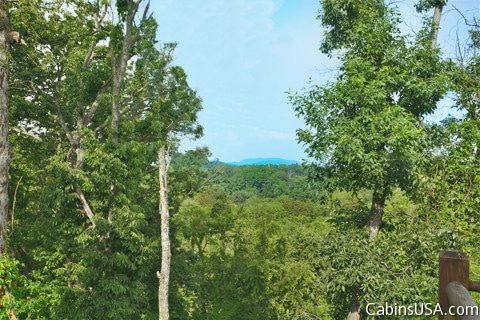 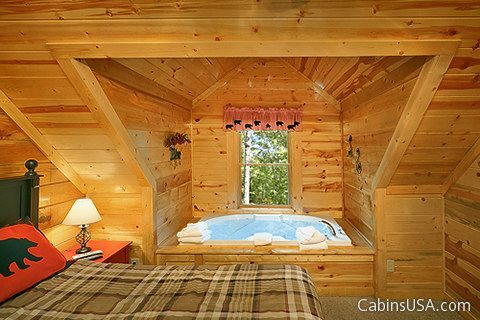 Book your Tennessee vacation rental or another five-bedroom cabin in Tennessee online with Cabins USA Gatlinburg for an immediate Cabin Discount. 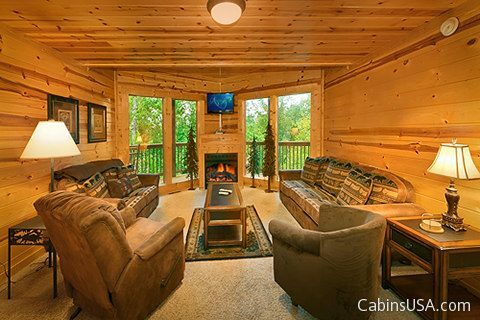 Start making your own memories of the Smokies at "Hilltop Hideaway" today!